The only walk behind vacuum sweeper with a house filtration system. 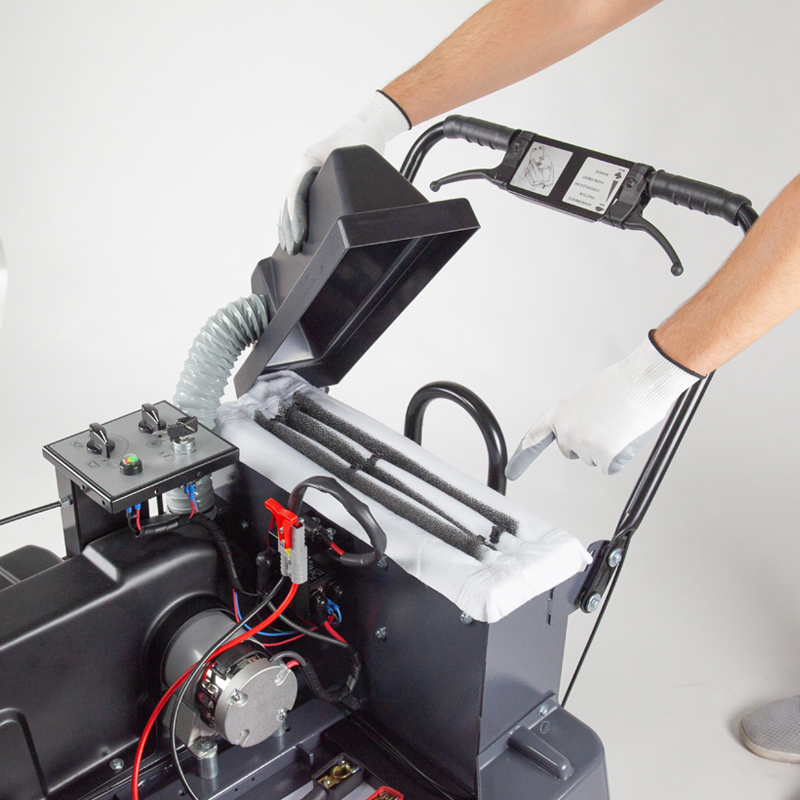 Experience uncomplicated cleaning and maximum productivity with the MACH 1, perfect in janitorial and industrial environments. Convenient, anytime cleaning at outstanding value for money. 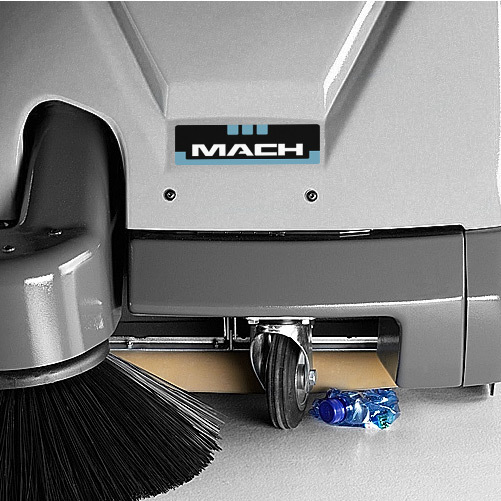 The pioneer of walk-behind vacuum sweepers, the MACH 1’s unique filtration system delivers the ultimate clean. Battery version perfect for both indoor and outdoor environments, with no emissions and silent operation. Honda engine suitable for outdoor environments, maximizing running time. The MACH 1 is an extremely durable sweeper, constructed in steel with an indestructible ABS protective coating and the finish will always look new, thanks to a tough paint that never fades. The compact design and large mark-free wheels enable impressible maneuverability, easy handling and flexibility to work effectively in both indoor and outdoor environments. 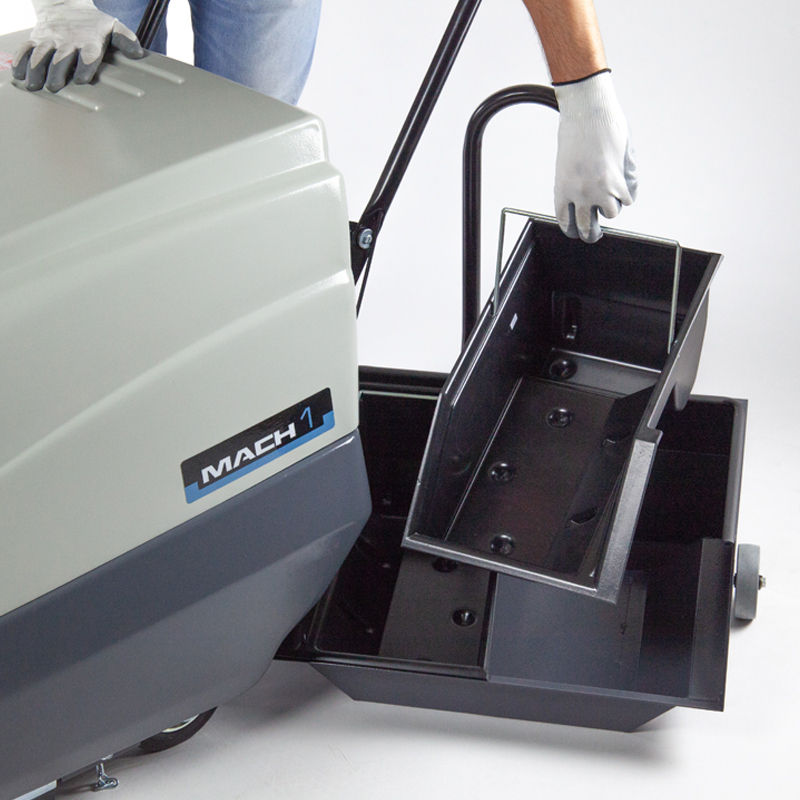 The MACH 1's intelligent vacuum filtration system delivers safe, dust free cleaning and optimum productivity. A fully adjustable chevron shaped brush grabs dirt and drives it into the center of the brush, eliminating left-behind side debris. The brush uses the clever over-throw principle, ensuring complete collection of debris and maximum use of the hopper's 40-litre / 11 gallon capacity. Its ingenious design is tailored to the operator making it easy to use and resilient, an adjustable handle and intuitive controls maximize comfort and control during use. 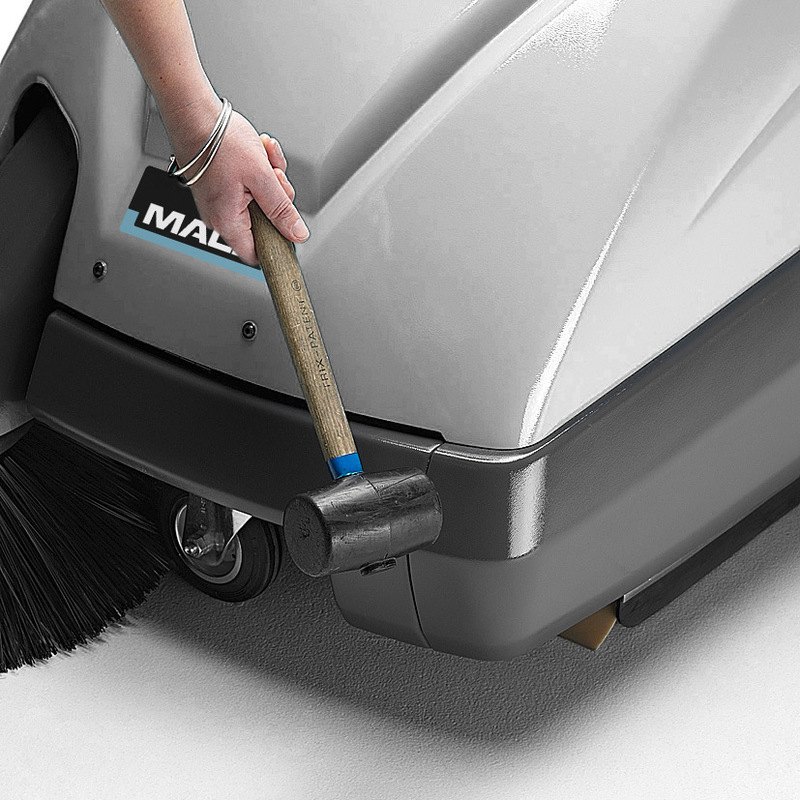 The MACH 1 is equipped with simple but intelligent features that deliver incredible cleaning power without the hassle of maintenance. Innovative polyester house filter, captures 99.9% of dust creating a clean and safe environment. A mechanical shaker enables easy cleaning, reducing maintenance and increasing filter life span. Rely on high quality manufacturing; constructed in steel with an indestructible ABS anti-shock coating the MACH 1 is protected even in the toughest working environments. The 40-litre hopper reduces downtime, and increases productivity. Fitted with a convenient handle, wheels and 2 removable baskets the container is very easy to transport and empty. The ergonomic design ensures maximum user comfort and simple operation. Controls are easy to identify on a simple dashboard, with quick access to the key switch, brush control and vacuum filter isolation. 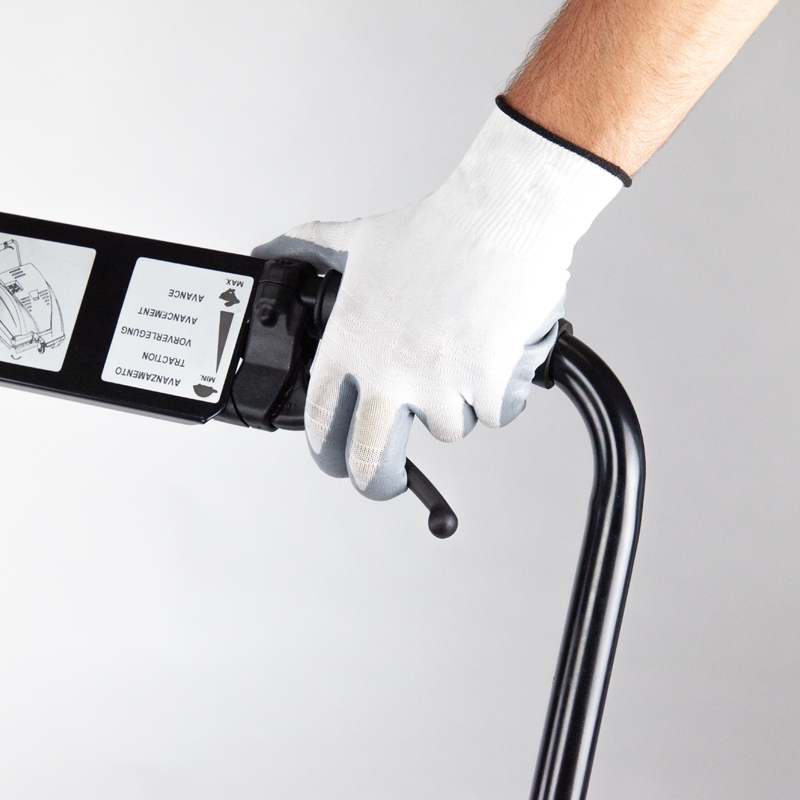 Forward traction can be activated via a lever positioned on the operator’s handle. It is incredibly responsive enabling high maneuverability and complete control during machine operation. 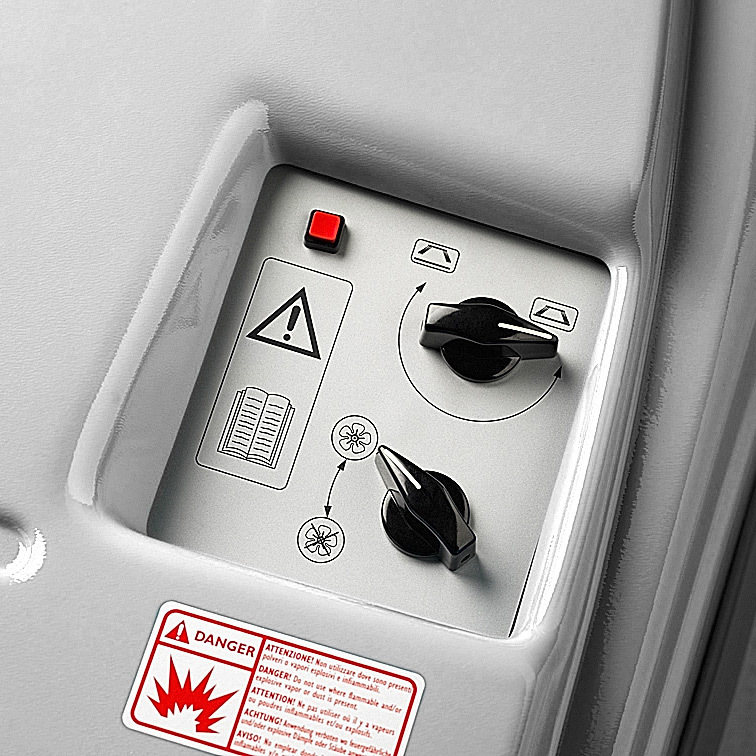 The machine is equipped with front flap control, directly accessed from the dashboard, it allows effortless pick up of larger debris. 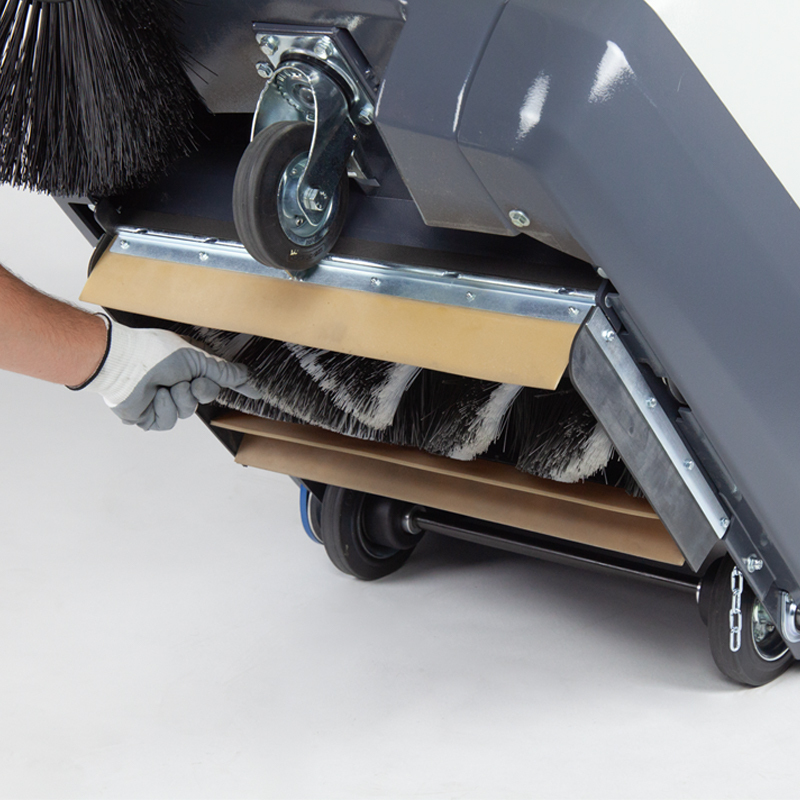 The MACH 1 is designed to stand securely on its rear end, providing full access to the side and main brush for quick maintenance and replacement. Indoor and outdoor, hard and soft (including low profile carpet). Industrial sites, building sites, schools, offices, stations, hospitals, public spaces, airports, shopping malls, retail stores, warehouses, car parks, residential spaces and yards. 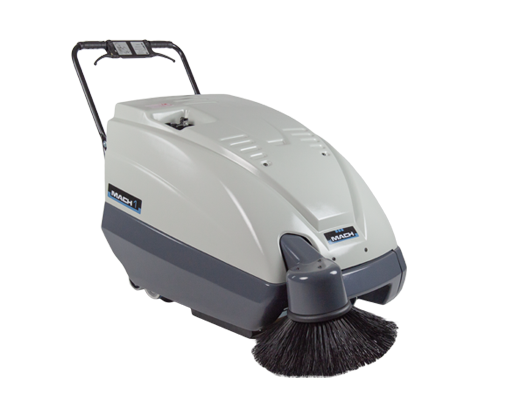 Whether you are looking for a sweeper, a scrubber or an escalator cleaner, MACH has the perfect solution for you! SWEEP? or SCRUB & DRY? Would you like to recieve additional information? Please fill out the following form with the required details and press "submit". WOULD YOU LIKE SOME MORE INFORMATION? CONTACT US!